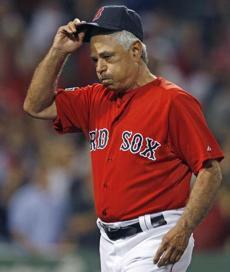 The Bobby Valentine era began with mounds of optimism when he was introduced as Red Sox manager on Dec. 1, 2011. 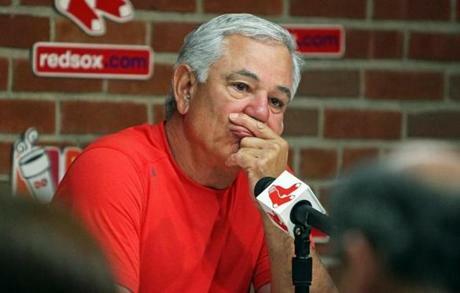 Valentine arrived in Boston on Nov. 21 for an interview with team officials, and met with reporters afterward. 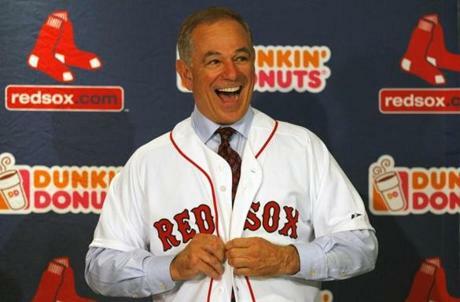 The new Red Sox manager was all smiles when he donned his new jersey at his introductory news conference. 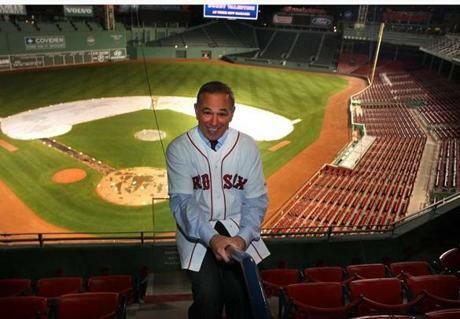 Valentine was so giddy he even slid down a stair rail at Fenway Park. 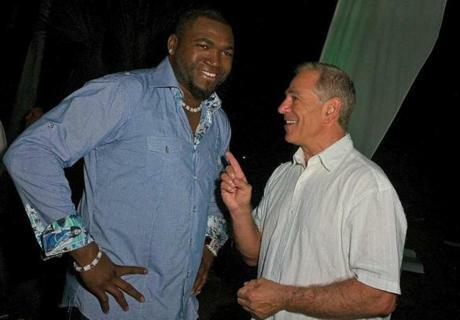 A day after his introduction, Valentine traveled to the Dominican Republic, where he participated in David Ortiz's charity golf tournament. 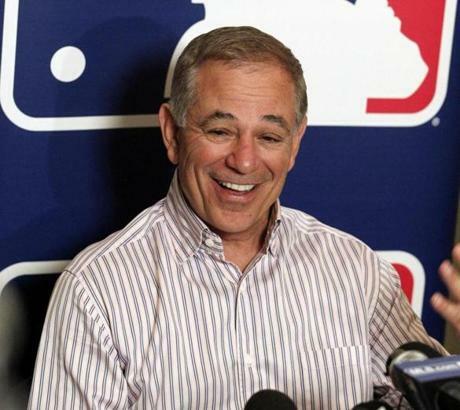 Valentine shared some laughs with reporters when he met with them at the winter meetings in Dallas Dec. 7. 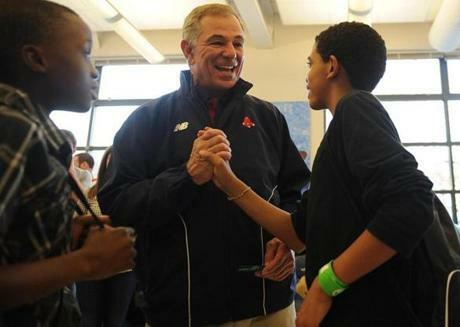 Valentine jumped into community service, and represented the Red Sox at the West End House Boys & Girls Club on Dec. 22. 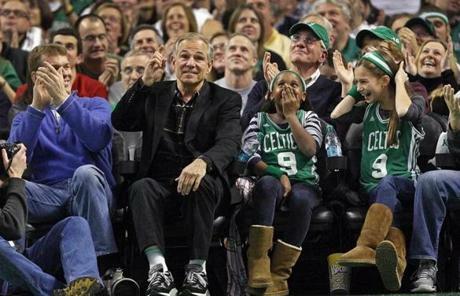 Valentine quickly became a popular sight in Boston, and was cheered at a Celtics game on Dec. 30. 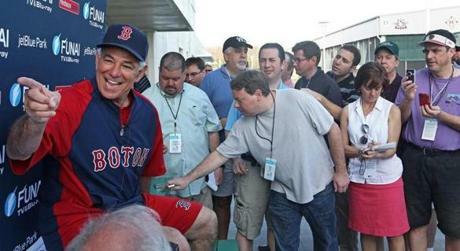 The good times seemed to continue at the start of spring training, where laughs were easy to come by as Valentine met with reporters. 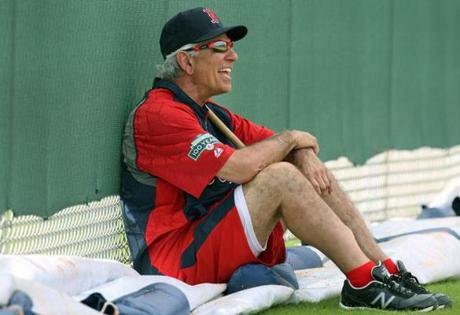 The laughs continued as Valentine watched pitchers throw on the day they reported to camp. 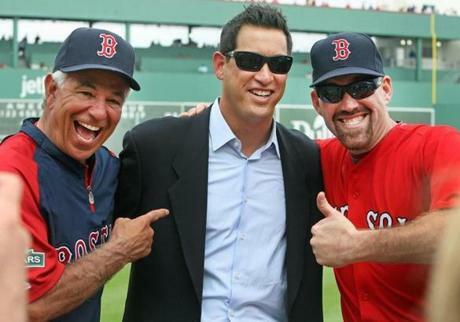 Valentine and Kevin Youkilis (right) seemed to get off to a good start when they joked around with Red Sox executive vice president/business affairs Jonathan Gilula on Feb. 25. 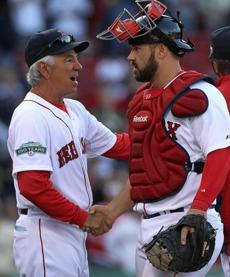 Valentine chatted with Dustin Pedroia (left) and Adrian Gonzalez on Feb. 27. 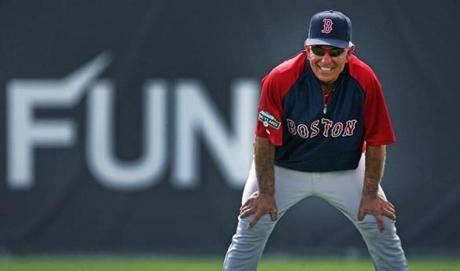 Valentine smiled as he monitored workouts Feb. 28. Valentine had some fun during a visit to the African Caribbean American Center in Fort Myers Feb. 29. 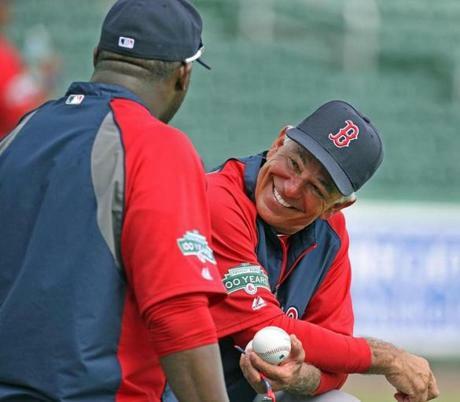 On the same day, Valentine shared some laughs with David Ortiz during a workout. Valentine worked with Mike Aviles during an infield drill in early March. 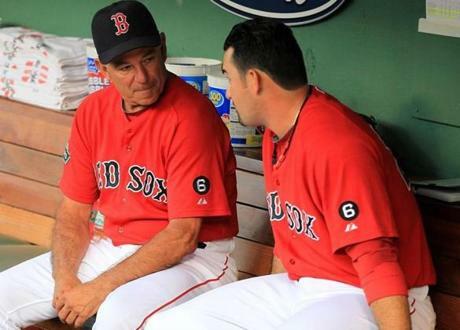 A report later surfaced that the manager and Aviles developed a rift because of a spring incident over an infield drill, but both denied any incident happened. 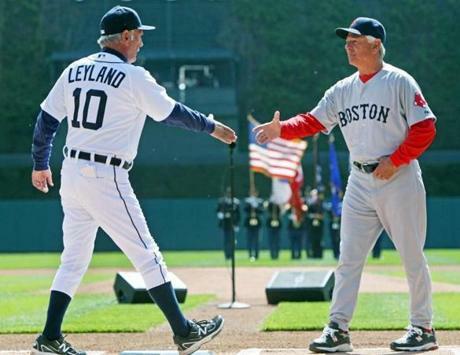 On Opening Day in Detroit, optimism still ran high around the Red Sox as Valentine shook hands with Tigers manager Jim Leyland. 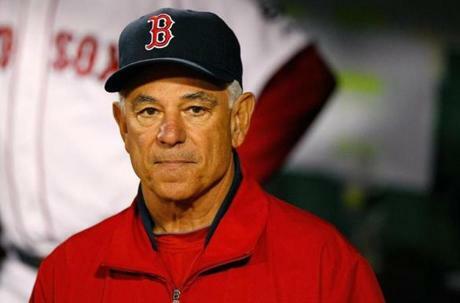 By the end of the opening weekend, Valentine was looking for answers after the Red Sox had been swept in three games in Detroit. There were some smiles back at home for Valentine and catcher Kelly Shoppach, as the Red Sox won the home opener, 12-2, against Tampa. 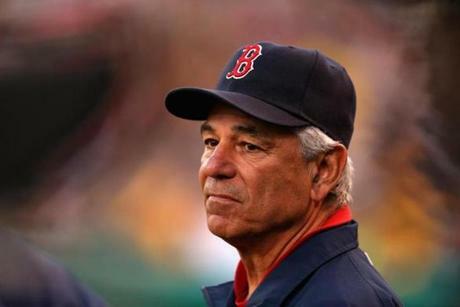 But on April 16, Valentine faced his first public controversy over critical remarks he made about Kevin Youkilis. 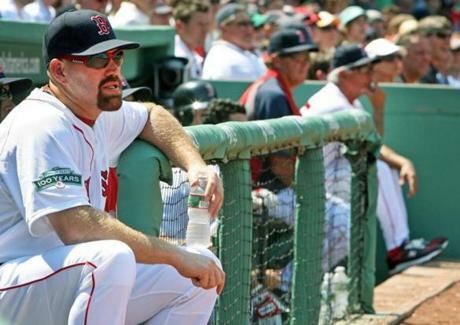 Youkilis did not play on the day after Valentine's remarks, and sat at the opposite end of the dugout from the manager during that day's loss to Tampa. 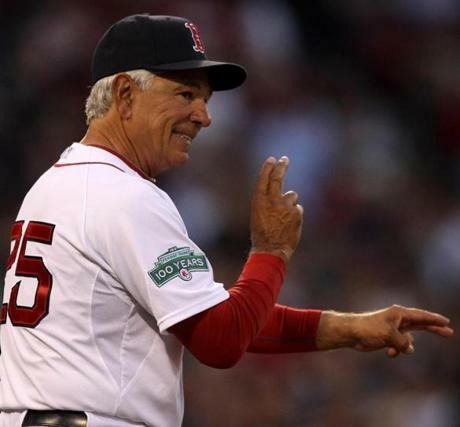 Valentine had to make many slow trips to the mound to make pitching changes. 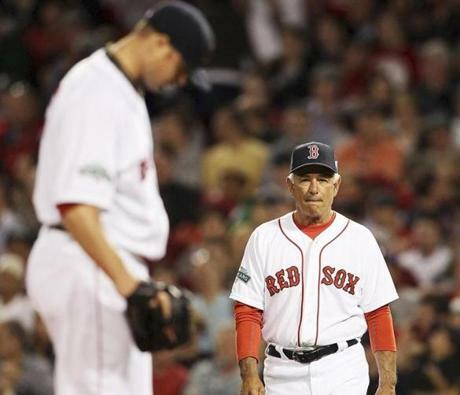 On this one, on April 17, he lifted Jon Lester from an 18-3 loss to Texas. 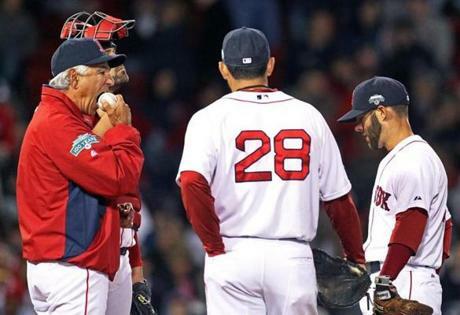 Valentine appeared to take a bite out of the ball when he made a pitching change during a loss to Texas April 18. 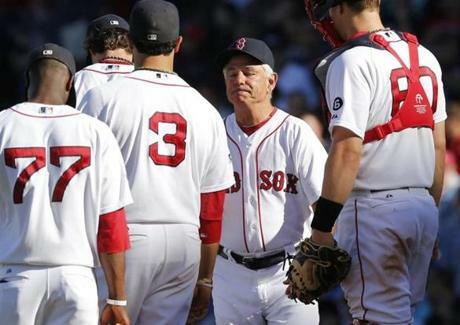 In perhaps the Red Sox' worst game of the year, Valentine used six relievers who gave up 14 runs over 3 innings in a 15-9 loss to the Yankees April 21. Valentine was left looking for answers during this 4-3 loss in Kansas City May 9. 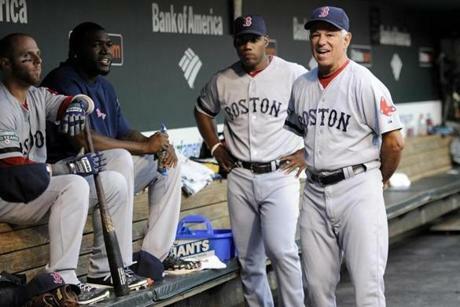 On May 25, Valentine had to help settle down his club after a benches-clearing incident against Tampa. 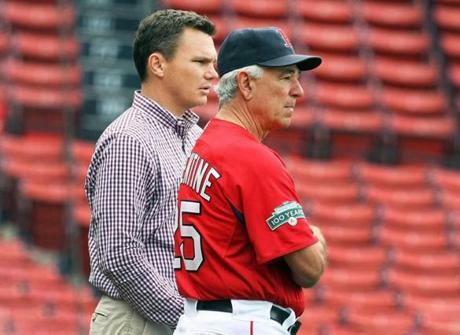 Valentine met with general manager Ben Cherington before a 9-6 loss to the Blue Jays June 25. 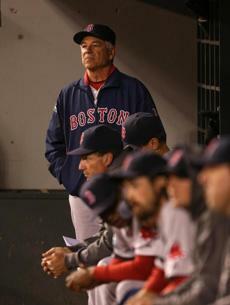 Valentine watched as the Red Sox lost the second game of a three-game sweep by Oakland July 3. 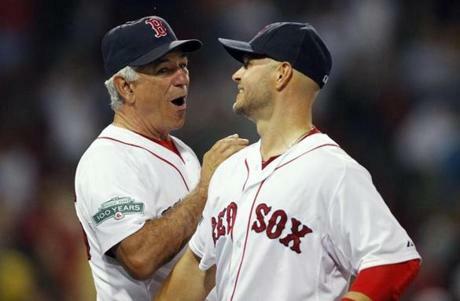 Back at home July 18, there was more to celebrate with Cody Ross after defeating the White Sox, 10-1. Valentine saw little that he liked in a 9-1 loss at Texas July 23, part of a string of six losses in seven games. 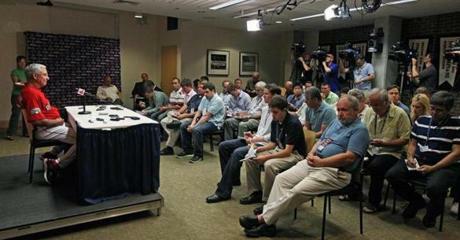 Media scrutiny was intense all year for Valentine, including in this pregame news conference July 31, as the trade deadline passed. 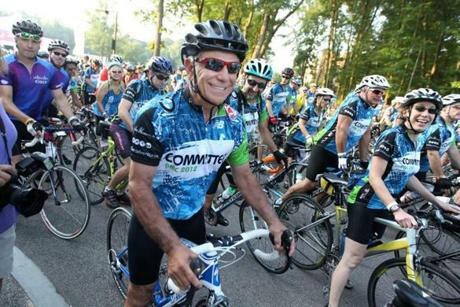 Valentine allowed the Globe to profile him Aug. 4, when he spent part of a very busy day bicycling from Wellesley to Wrentham in the Pan-Mass Challenge. 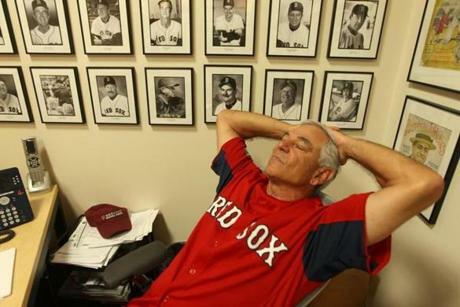 He caught a few moments of rest in his Fenway Park office before the Aug. 4 game against Minnesota. 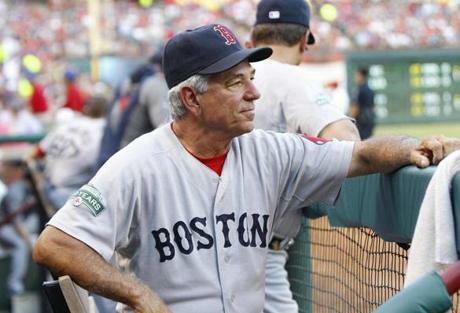 The Aug. 4 game turned into one of the toughest setbacks of the year. Valentine watched as his bullpen allowed four runs in the ninth to the Twins in a 6-4 loss. 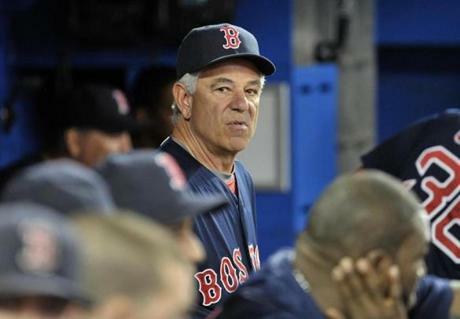 Two days later, Valentine watched batting practice, with his team sitting just a half-game out of last place. 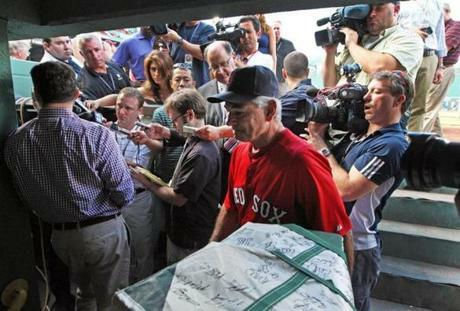 For a change, the media scrutiny wasn't focused solely on Valentine, as he walked past a scrum of reporters interviewing Cherington Aug. 6. 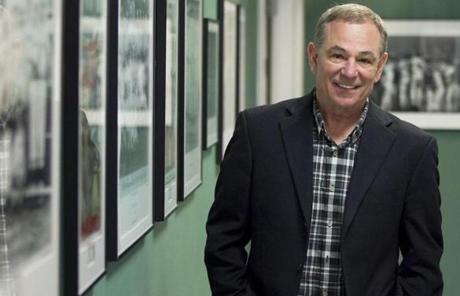 The focus was back on Valentine in Baltimore Aug. 14, when a report emerged claiming that players had gone to ownership seeking to have him fired. 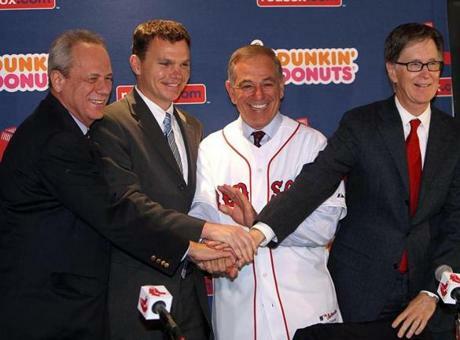 The Red Sox denied the story. 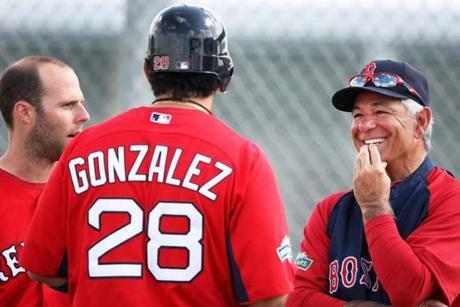 Valentine chatted with Adrian Gonzalez in the Fenway Park dugout Aug. 24, a day before the Red Sox finalized a trade sending Gonzalez, Josh Beckett, Carl Crawford, and Nick Punto to the Dodgers. 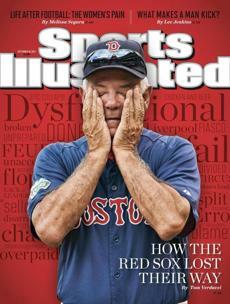 In early September, Sports Illustrated shined a light on the Red Sox' problems with a front-page photo of Valentine. 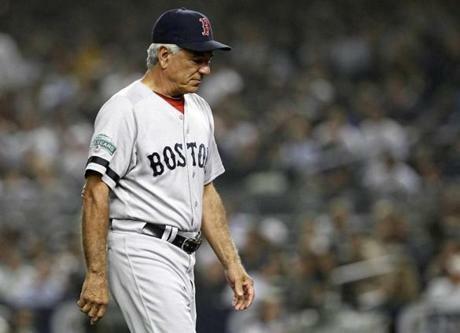 On Sept. 5, hours after a testy exchange in a Boston radio interview, Valentine watched the Red Sox finish one of their worst road trips ever — 1-8 — with a loss in Seattle. 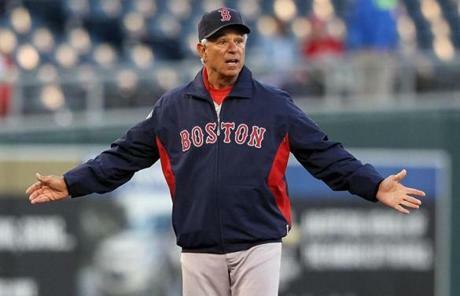 Valentine removed Clay Buchholz from the game after he allowed a go-ahead sacrifice fly in the ninth inning of a 4-3 loss to Toronto Sept. 9. With his team having lost six of the previous seven games, Valentine looked on early in what would become an 8-5 win in Toronto Sept. 14. 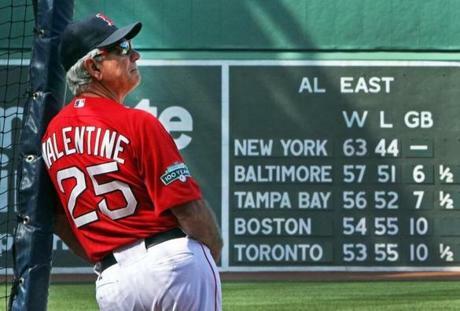 With his team out of contention, Valentine could only envy the pregame celebration of the Red Sox' 2004 World Series champions Sept. 25. 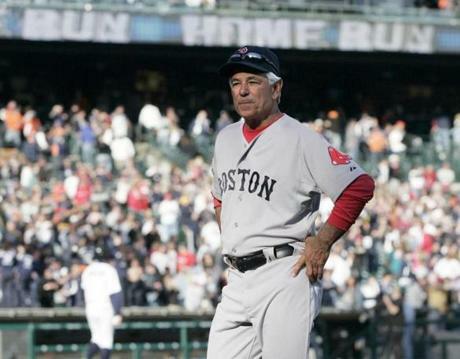 Valentine's final act with the Red Sox came in Yankee Stadium Oct. 3. 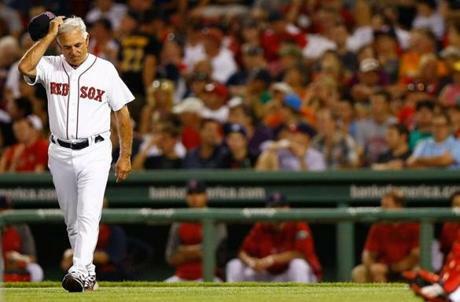 The Red Sox lost the finale, 14-2 — their 12th loss in the season's final 13 games.